New Delhi, April 11: Maruti Suzuki Chairman R.C. Bhargava joined the list of people who found their names deleted from the voter list on Thursday and said he will seek clarification regarding the undue deletion from the authorities concerned. He is a resident of Noida and casts his vote in the Noida Sector-15A Club polling station. Apollo Chief’s Daughter Fails to Find Her Name in Voters’ List in Hyderabad, Says, ‘Feels Cheated as a Citizen’; Watch Video. He further told IANS: "I can now write to the Noida's Chief Electoral Officer or the UP Chief Electoral Officer to find out who they are (who deleted my name) and why did they do it… I have not written so far, but I will write." 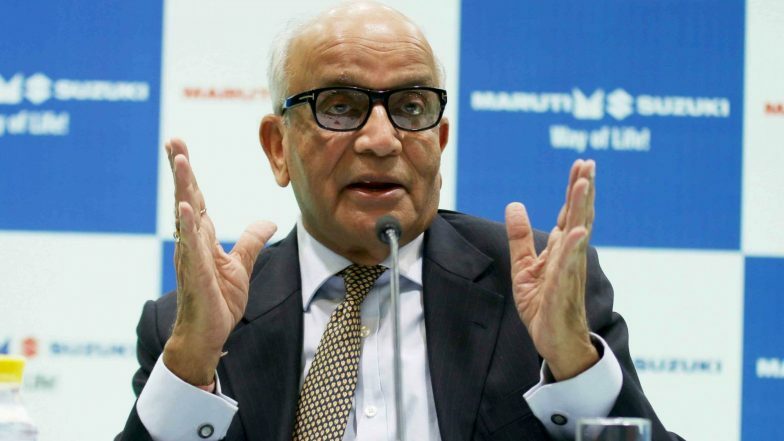 The Maruti Chairman noted that he had voted earlier and cast his vote in that every polling station in the Uttar Pradesh Assembly elections in 2017. If late, many instances of names missing from the electoral roll have come up in the country and the first phase of the 2019 general elections was no different. Lok Sabha Elections 2019 Phase I: List of States And Constituencies Voting On April 11.